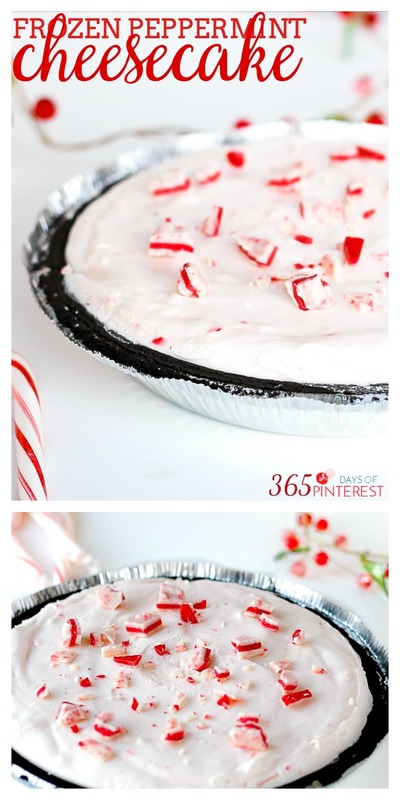 A fun new Christmas dessert – Frozen Peppermint Cheesecake! Merry Christmas, Nerdlets! It’s my very favorite time of year and I’m thrilled be here again to share what I’m bringing for Christmas dessert this year: Frozen Peppermint Cheesecake. 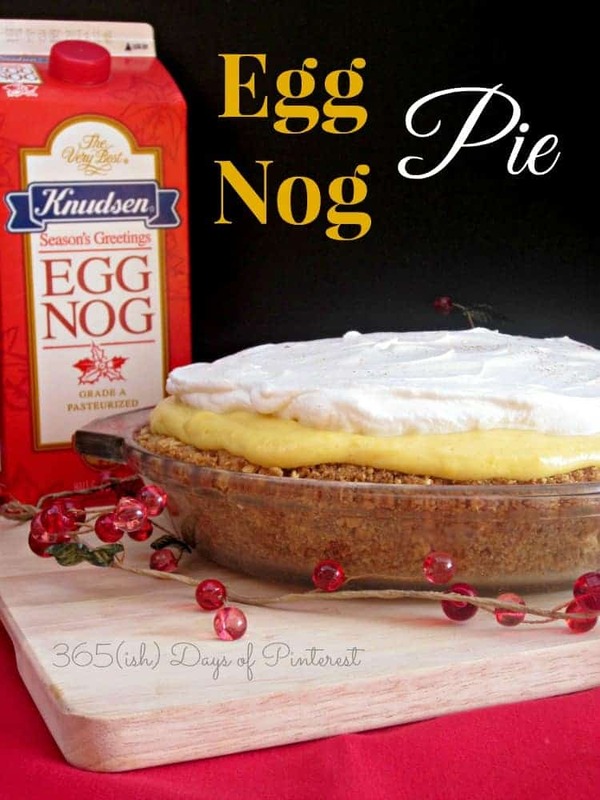 It’s a creamy, crunchy, rich, smooth and all-around perfect dessert. Our whole family was invited along to attend my husband’s work party (how cool is it that they included us all?!?) and we were asked to bring food to share. I brought my tried and true appetizer, Warm Swiss Sweet Onion Dip (which you should totally check out after you finish reading this post) and this new dessert. 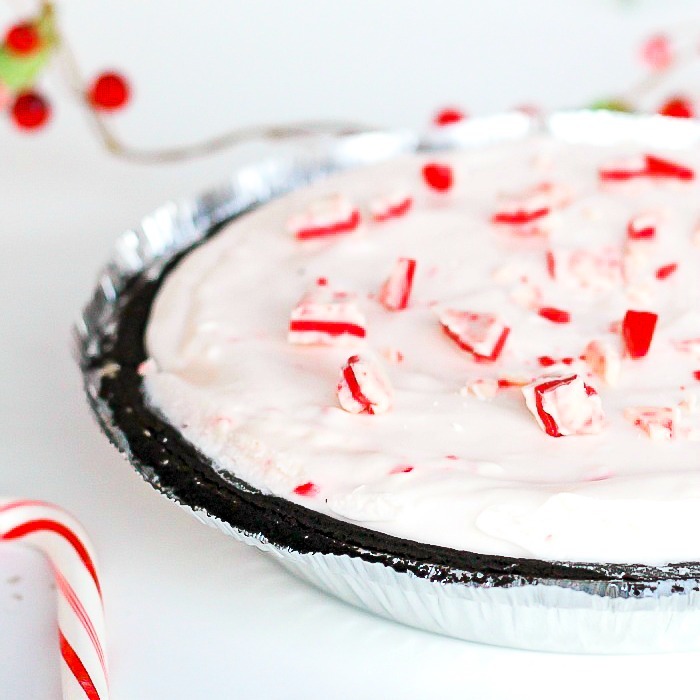 I discovered two things about Frozen Peppermint Cheesecake that I love: you can make it ahead and check that off your to do list AND this recipe makes two pies! TWO! I brought one to the party and the other one is sitting in my freezer waiting for Christmas day to roll around. Note: to make this REALLY easy buy the OREO crusts in the pie tins at the grocery store. For the work party I did this so I didn't have to worry about bringing home a pie plate. You'll need two crusts for this recipe. To make the crusts, crush the cookies in a zipped bag or using a food processor. You don't need to remove the creme filling. In a medium bowl, mix the cookie crumbs and melted butter until evenly coated. Press in two 9 inch pie plates, making sure to get the crust up the sides as well. Place in refrigerator until ready to fill. Whip the heavy cream until stiff peaks form. Set aside. In another bowl, mix the cream cheese, condensed milk and crushed candy canes until well combined. Gently fold in the whipped cream. Pour the filling into the two pie crusts and freeze until solid (at least 4 hours) . When ready to serve, remove from freezer, sprinkle with chopped peppermint crunch chocolates and serve immediately. Be sure to really crush your candy canes up so that you get small chunks in your cheesecake and not huge that will hurt your teeth! 🙂 The added texture to an otherwise creamy dessert is really a great treat, and the peppermint flavor is perfect for Christmas or even New Year’s Eve. If you are looking for other holiday desserts like Frozen Peppermint Cheesecake, here’s another one I think you’ll like!